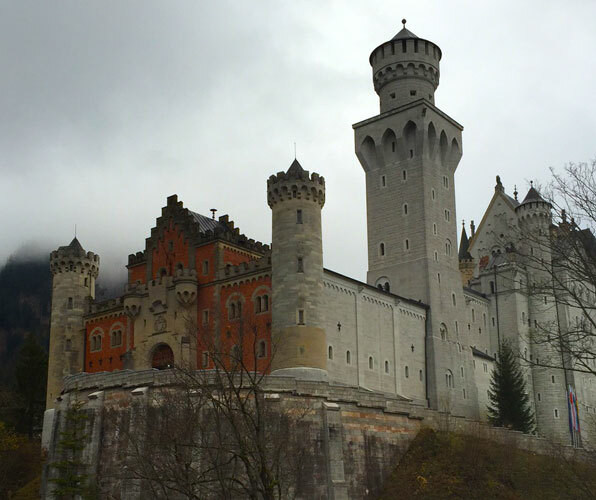 Neuschwanstein Castle, or better known as the inspiration for Walt Disney’s Sleeping Beauty castle, had beckoned to us from the time we arrived in Munich Germany. Both my daughter and I are avid fans of old European Castles, the bigger the better and Mad Ludwig’s castle was what we considered the star in Europe’s lineup of royal palaces of yore. 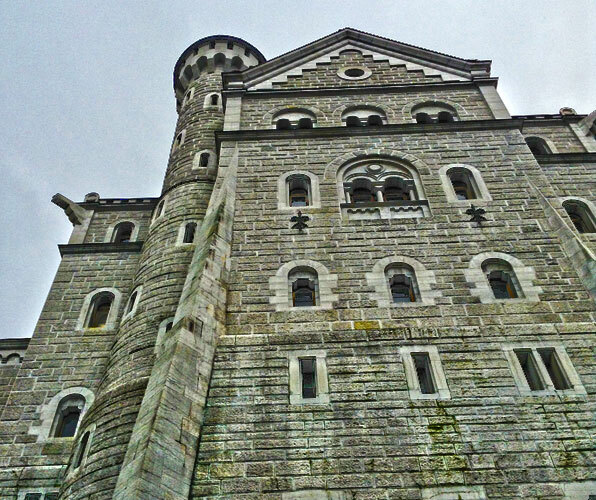 We booked our ‘Crumbling Castle’ day trip to this magnificent Bavarian castle through Radius Tours. You can also arrange your own travel via train and bus, but we were lazy and wanted all of that taken care for us on this trip. 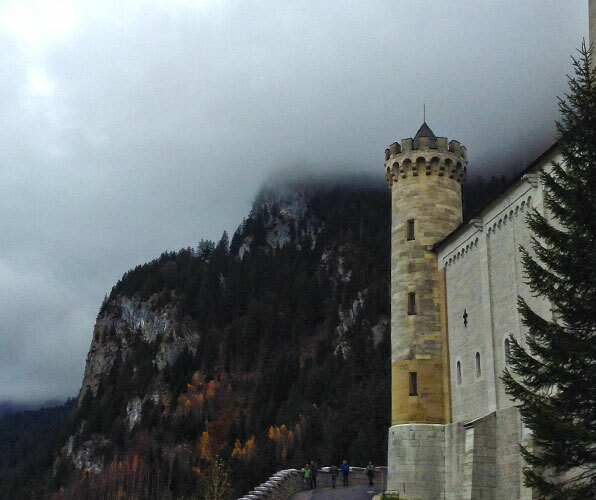 Here’s a few photos we took on our girls getaway to Neuschwanstein Castle, a perfect fairy tale castle in Bavaria. 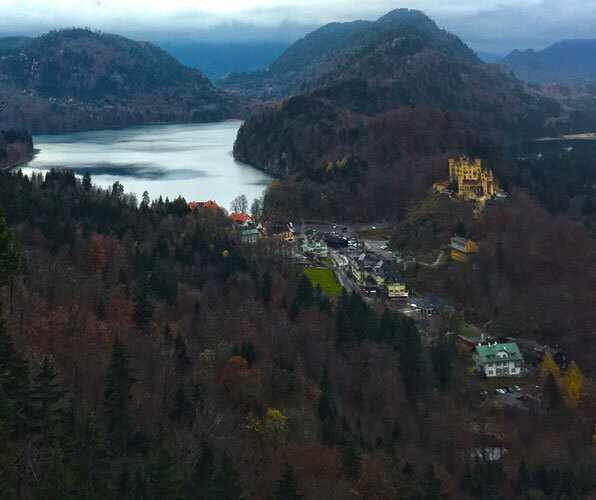 My daughter and I spent a day visiting Neuschwanstein and the nearby Hohenschwangau Castle (the one on top of the hill in the last photo) during our 2011 girls’ getaway in Europe. 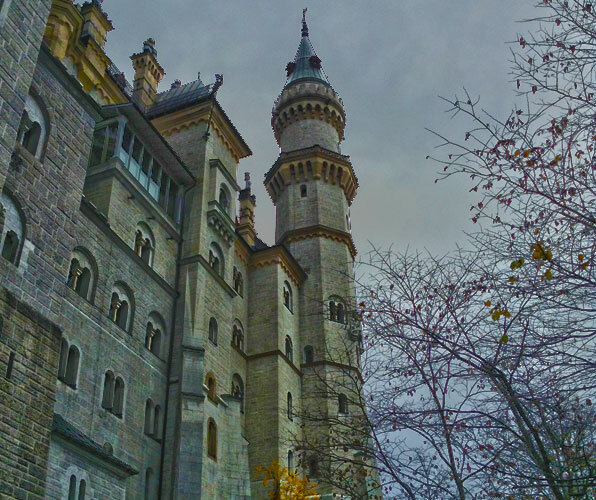 It was just magical, like a fairytale, and such a fascinating story about Mad King Ludwig. The surrounding countryside is so beautiful, and the views from the castle are just amazing. This was one of the highlights of our trip for sure!